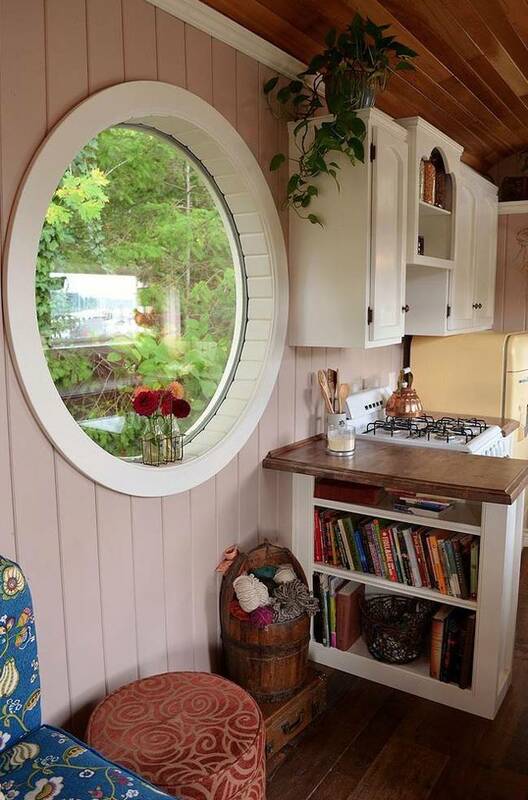 A full-sized kitchen makes cooking for a family of three simple. 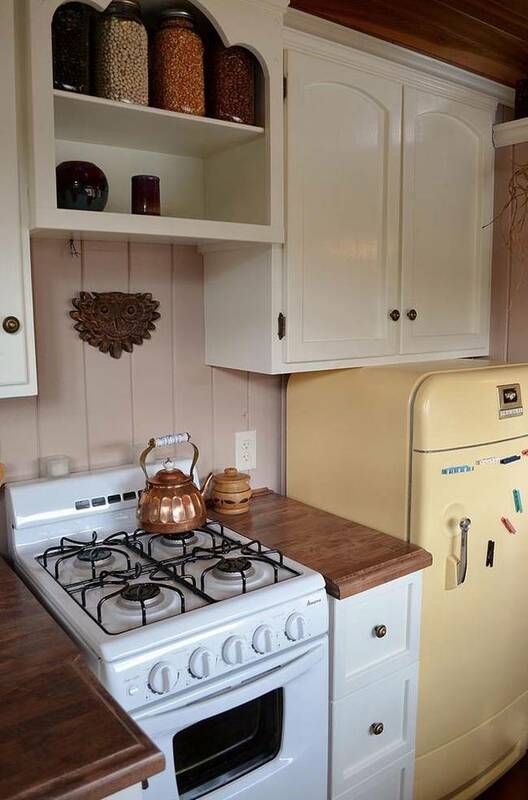 The refrigerator is a refurbished, antique Frigidaire. 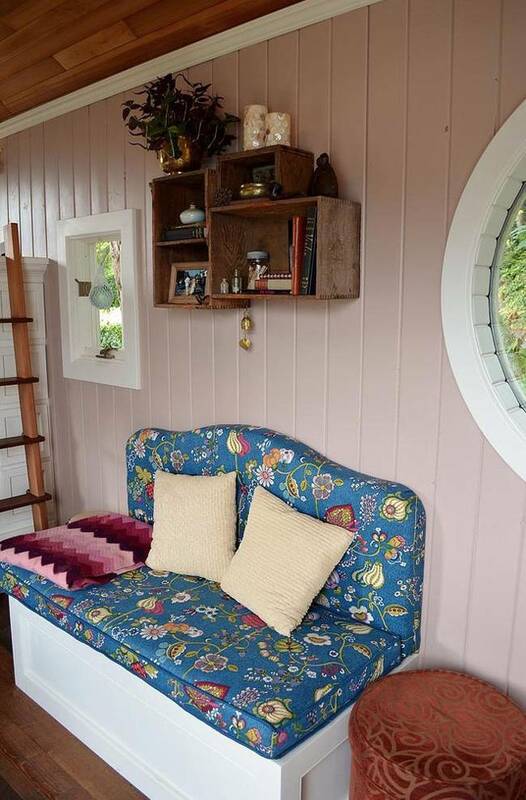 To keep from wasting the space over the wheel wells, this one was turned into a love seat. 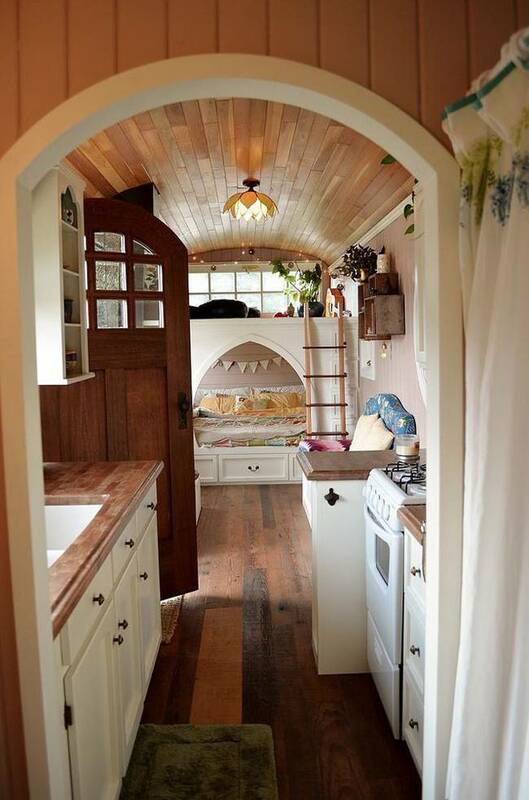 The wood ceiling keeps this amazing school bus tiny house warm and welcome. 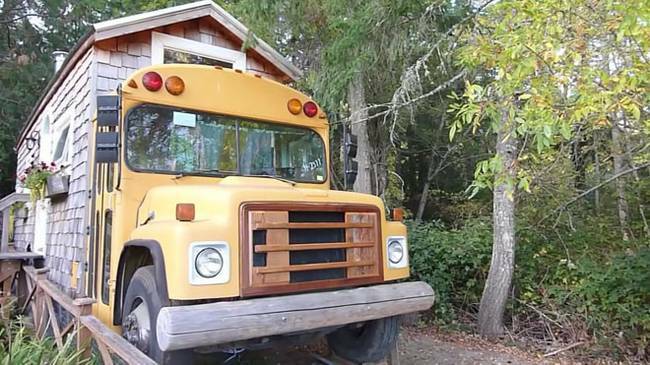 This amazing, school bus tiny home is beautiful both inside and out. With careful thought and construction, the Von Thompsons have taken a tiny space and turned it into a palace for three. 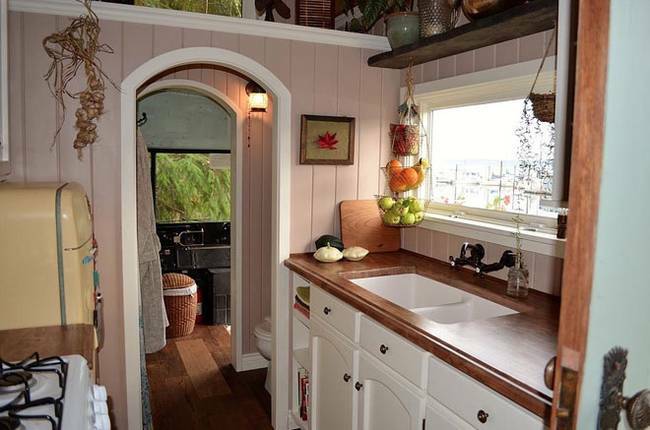 As I have said before, tiny houses may certainly not be for everyone. 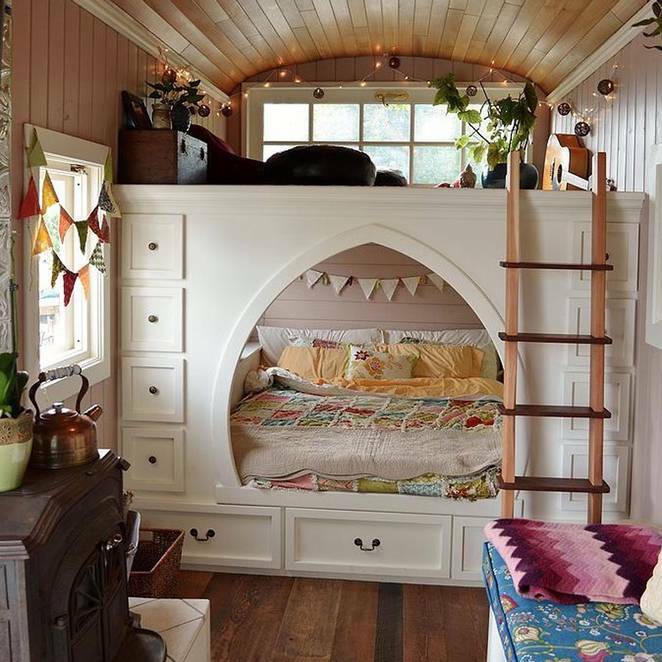 Some people would just never be able to function in such a small space. 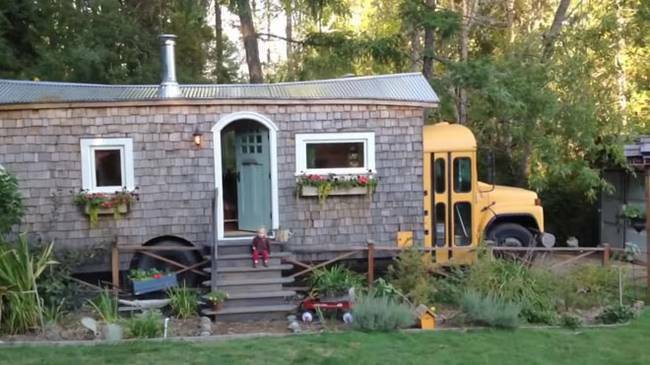 What is just so cool is that a lot of people do love tiny houses, and this school bus conversion to tiny house shows that people are able to showcase their talents and inspiration. 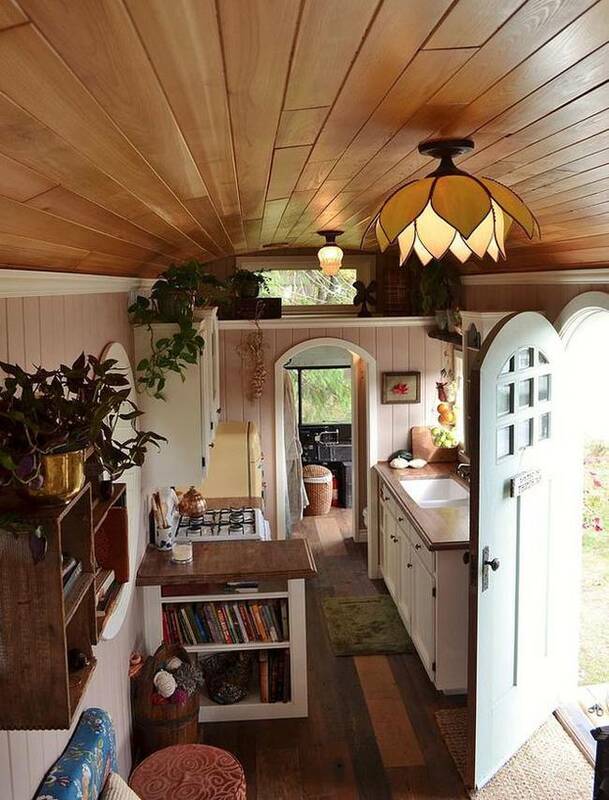 They can then express this into their own version of an awesome tiny home. It seems to show that anything is possible. See much more at Vonn Thompson Creative. Please share this post on Facebook, Twitter, Reddit and Pinterest. What The Hell Is Wrong With The School System?